Swiss scientists have apparently discovered an efficient method to learn a foreign language. The method works as follows: first the scientist gave German-speaking students a number of pairs of German words and their Dutch translation, while awake. Then they repeated these pairs while the students were asleep. Those students who heard the pairs in their sleep, were better in remembering the Dutch words than the students in the control group. This research is of interest for space settlers. In The High Frontier O’Neill already understood the need for space settlers to learn multiple languages as Russian and Japanese (for American colonists) while on their way to L5, in order to improve communication with settlers from other nations. We have suggested on this site that space settlements should consider a constructed language as official language in order to deal with a multi-ethnic population. Regardless of what option is chosen, space settlers have to learn some other language. Racketlon is a multisport match involving four stages: table tennis, badminton, squash and tennis (and in that sequence). The idea to combine these four racket-sports in one single match originated in Finland. The game is played as follows: there are four sets (in sports and sequence mentioned above). Each set is played according to the rules of that particular sport. The set is played up to 21 points. The player who after these four sets has the most points wins the match, not the one who wins most sets. Typically the four sets are played shortly after each other. In order to boost the Mordan economy and to strengthen its international prestige, we propose to introduce the Mordan Open Racketlon. The principal sponsor of this sport event will be the Mordan Federal Government. The Mordan Open will consist of two tournaments, one for women and an other for men. Each tournament will start with 16 players, and will follow a double-elimination tournament. That means that one has to lose two times before permanently eliminated in the tournament, this in contrast to a single-elimination tournaments (as is used, for instance, in the knock-out stage of the Fifa World Cup). The rationale behind a double-elimination tournament is as follows. Since the players are assigned their opponents in the first round by random selection (as is common in most sports), it’s possible that two strong players will play against each other in the first round. In a normal single-elimination tournament the losing strong players will be eliminated will weaker players could advance to later rounds, just by luck. In a double-elimination tournament losing strong players can still advance to the latter rounds. From a commercial point of view a double-elimination tournament is interesting because more matches will be played and each player will play at least two matches. On CBS we found the fascinating story of the accidental discovery of a bizarre mammal, which looks like a mouse with a proboscis and fits in the palm of your hand, but is actually related to elephants. Space colonization will be a process with multiple stages, on this site we usually discuss the latter stages of this process. However, it is important also to discuss the earlier stages. These earlier stages will be characterized by small human presence in space and extensive use of robotics and teleoperation. As space colonization will develop, the number of humans is space will grow. Hence we distinguish between different generations of space settlements. 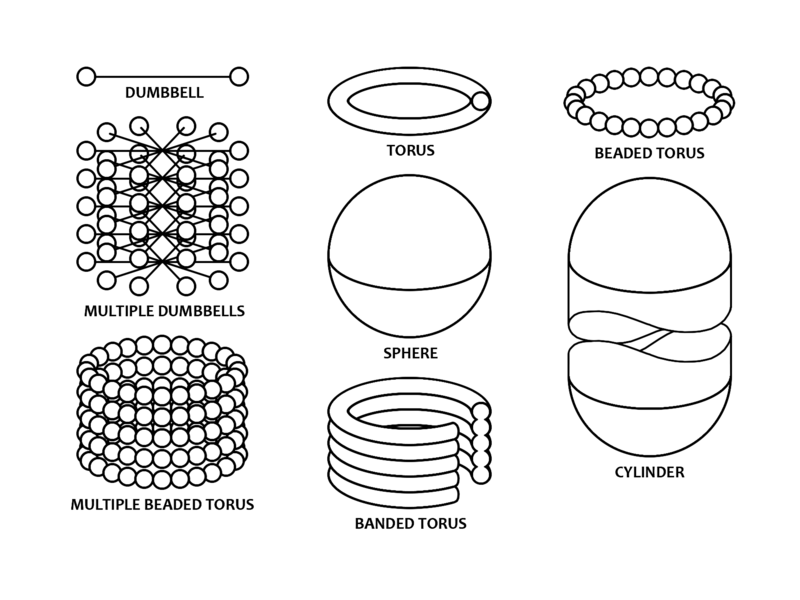 The first generation of space habitats are dumbbells and similar designs. The second generation consists of Bernal spheres and toroidial designs. And the third generation consists of O’Neill cylinders. The second and third generation of space habitats, as defined above, are large structures designed for large populations. The reason why these designs are large, is because they use centrifugation to replace gravity. 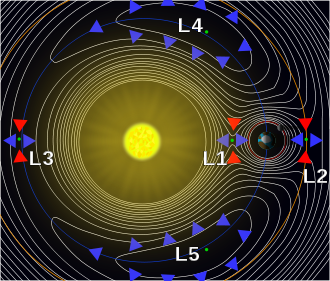 The centrifugal force depends on the product of the radius and the angular velocity. A larger radius requires a lower angular velocity, which is preferred by most humans. Both the Bernal sphere and the Stanford torus have a radius in the order of a few hundred meters, which implies about one revolution per minute. Their designs require a lot of material resources, however. On the other hand, these designs also provide living space for tens of thousand people. First generation space habitats will also use centrifugation to replace gravity, but use a simpler design which would require less material. But consequently provide room for fewer people. Though this is not really an issue in the early stage of space colonization. The dumbbell habitat design consists of two modules, with an equal mass, which are connected with each other with a tether. The structure rotates around its midpoint, halfway the tether, and hence generating a centrifugal force. The tether can be of any desired length, while there no special size requirements for the two modules. Even if the tether is a few hundred meters long, the material requirements will be modest. The modules themselves are similar to those of the international space station, though we could also opt for the inflatable modules of Bigelow Aerospace. A similar design is the bola space habitat. Dumbbell habitats will serve as a first base for asteroid mining and the construction of next generation habitats. Depending on the size of the modules a few dozen people will stay at the habitat. The use of animals in competitive sports is controversial in animal welfare circles. The issue at stake is that animals are forced to perform physical efforts for the benefit of their human owners/caretakers. Since humans eager to win might be tempted to ask too much from their animals, while they unlike humans cannot give informed consent, this is not always to the benefit of these animals. There are known instances of people giving performance enhancing drugs to horses. Earlier we advocated a total ban on blood sports as well to abolish animal racing. Instead of betting on animal races, people could bet on human races such as the 400m hurdling. But there are less cruel sports which involves animals. One of these sports is polo, a ball-and-stick game played on horseback. An alternative variant of polo exist, however, in which horses are replaced with bicycles, and is known as cycle polo. This animal friendly game is usually played on grass (like traditional polo) or on hard court. The rules are basically the same as in horse polo. Cycle polo requires certain skills as one should able to steer his/her bike aswell being able to use his/her stick simultaneously. Though this question seems to be trivial, but in fact it is not. And if we want to introduce animal welfare legislation, we need to establish what organisms are animals. In modern taxonomy animals (Animalia) are known as Metazoa. Animals are multicellular eukaryotes (i.e. animal cells have a nucleus), are heterotrophic (i.e. they don’t do photosynthesis, and chemical energy in the form of organic molecules to survive), and their cells don’t have a rigid cell walls (unlike plants, fungi and bacteria). Taxonomists have divided the animal kingdom in three main groups: Eumetazoa, Mesozoa and Parazoa. The last subkingdom consists of multicellular animals who (unlike other animals) do not have tissues or organs. Currently only sponges belong to the Parazoans. The second group, Mesozoa, contains only worm-like parasites, and its actual status is subject of scientific dispute. The first subkingdom, Eumetazoa, is by far the most interesting one, since it contains all other animals. Eumetazoans are animals with differentiated tissues and organs. Most aminals of this group of a symmetric body to a certain degree. Since only Eumetazoans are known to have nerve systems, and hence capable of suffering, it might be an idea to restrict animal welfare legislation to Eumetazoans rather to all Metazoans. Many people have learned at school that life is divided into four kingdoms: bacteria, fungi, plants and animals. Only this system is now outdated due to new scientific (genetic!) research. There are two superkingdoms: Prokaryotes and Eukaryotes. The former is divided into Bacteria and Archaea. The latter is divided into: Unikonta and Bikonta. The latter contains plants, algae and similar organisms. Unikonta contains amoebozoa and opisthokonts. Opisthokonts are further divided into main groups: Holomycota (includes among others fungi) and Halozoa. The latter group is then further divided into Mesomycetoea and Filozoa. Filozoans are divided into Filasterea, Choanoflagellata and Animalia. Choanoflagellata are a group of unicellular organisms, and they are the closest relatives of animals (most recent common ancestor living about 600 million years ago). Today I found in my personal archives an old proposal for an Alcohol Act. The rationale behind this act is that though the moderate consumption of alcohol is not a problem, excessive use of alcohol is a social issue. Drunk people are responsible for public disorder, riots and are an factor in domestic violence. Especially in space settlements excessive alcohol consumption can have disruptive consequences. Therefore alcohol requires regulation. The proposal contains seven articles. Though I support the general idea behind this proposal, I doubt the wisdom of certain provisions. Below the original proposal. Selling alcoholic beverages to persons below the age of eighteen [years] is prohibited. Selling alcoholic beverages outside specialized shops licensed to sell only alcoholic beverages, is prohibited. All kinds of advertisement for alcoholic beverages is prohibited. The consumption of alcoholic beverages in public spaces is prohibited. The import of alcoholic beverages shall be a government monopoly. The production of alcoholic beverages is prohibited without a license of the Federal Government. Anyone who is in the possession of a Federal Certificate of Capable Home brewership may produce alcoholic beverages for personal consumption. If you have any suggestions to improve this proposal, you could leave a comment below.